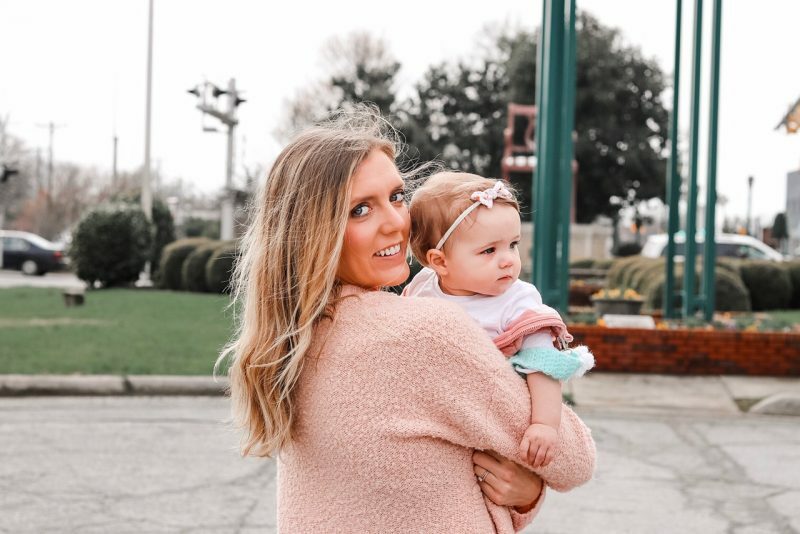 When I was pregnant I read and watched so many posts and videos about all of the essentials mom need to carry in their diaper bag. 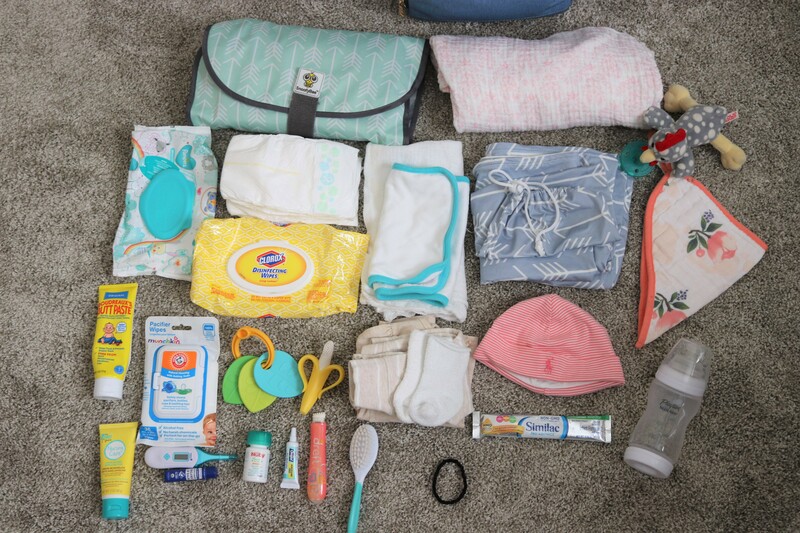 Now that I’ve been at this mom thing for 7 months, I thought it would be fun to share my little collection of baby stuff I carry with me daily. 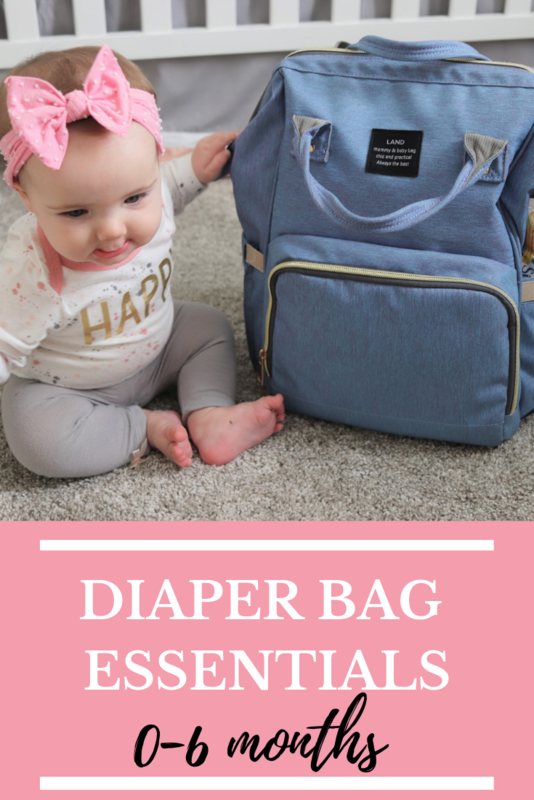 If you find yourself scrambling to figure out what to carry in your diaper bag, keep reading for my list of diaper bag essentials for 0-6 months of age. 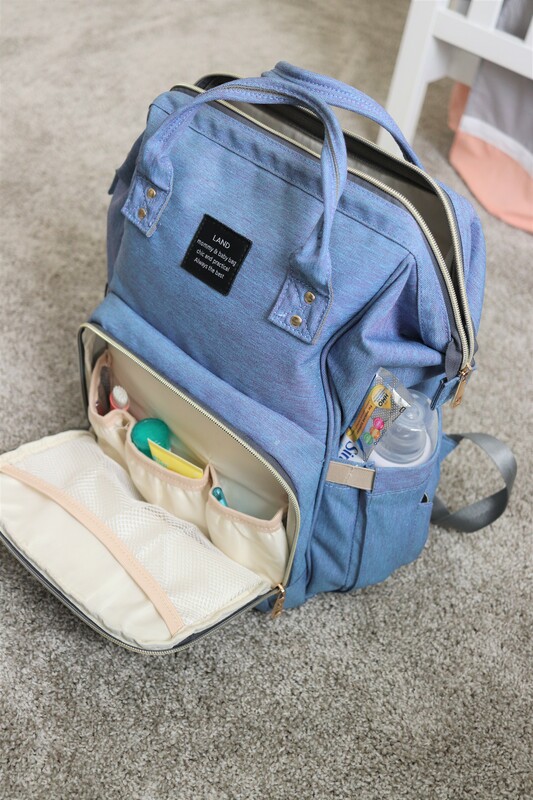 I’ll start off with a little review of my diaper bag before I list what I put in it. 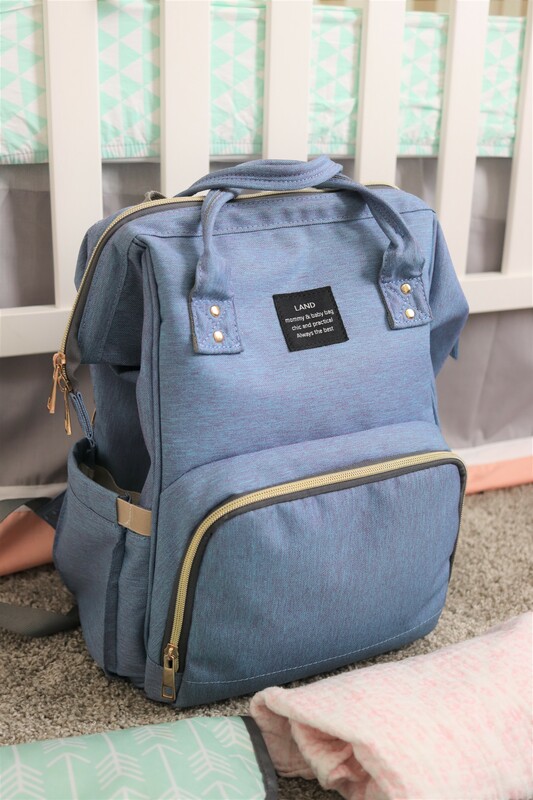 I added this Land Diaper Bag to my baby registry when I was pregnant. I saw adds all over Facebook for it. After reading a few reviews, I decided to go with it. 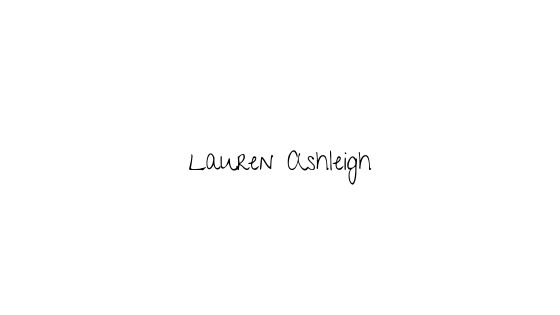 First of all, it comes in so many colors – neutrals, brights, patterns. There’s an option for everyone’s style. I got the denim color so my husband could rock it too without feeling too girly. It’s waterproof, which is also awesome. 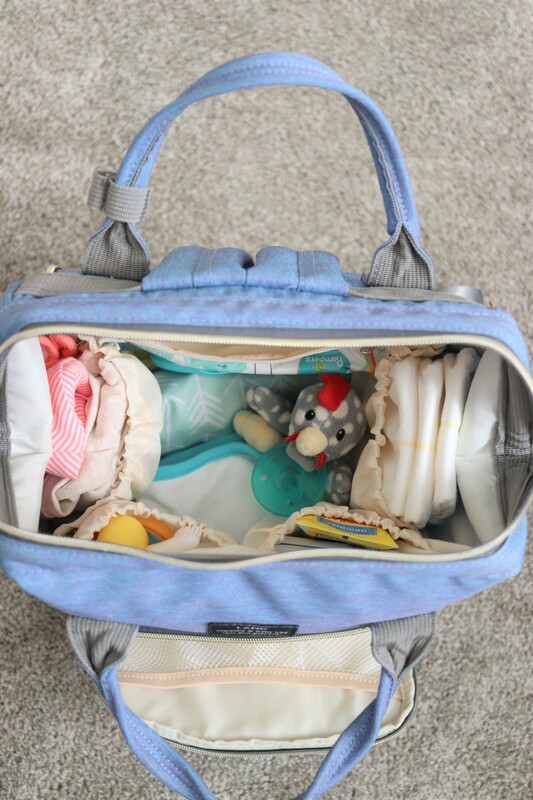 Some of the expensive diaper bags have expensive material, so you don’t want to get those wet. 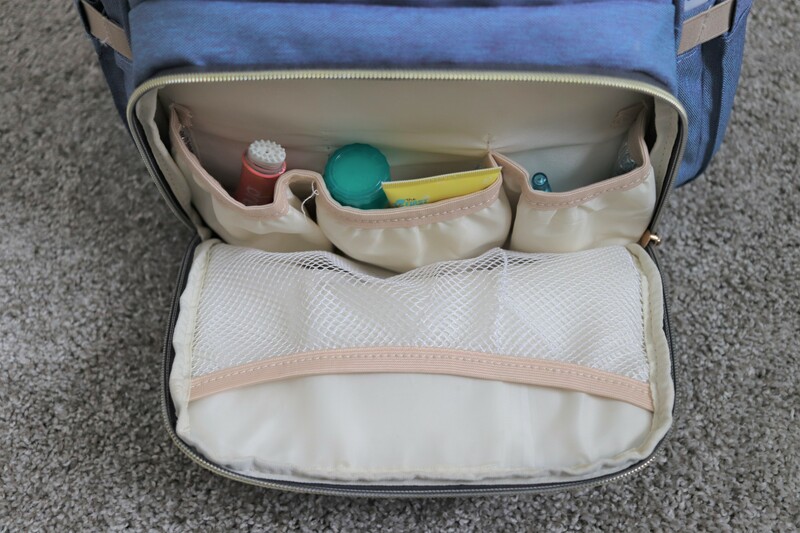 This bag also has SO MANY pockets and is very spacious. I tend to pack a lot when I’m going out with my daughter, and I still have plenty of room. Lastly, and the best thing about it, it’s only 30 bucks on Amazon! I’ve seen a lot of moms spend tons of money on diaper bags. To each their own, but I’m honestly not about that life. This bag is definitely a keeper y’all! Baby thermometer – you never know! 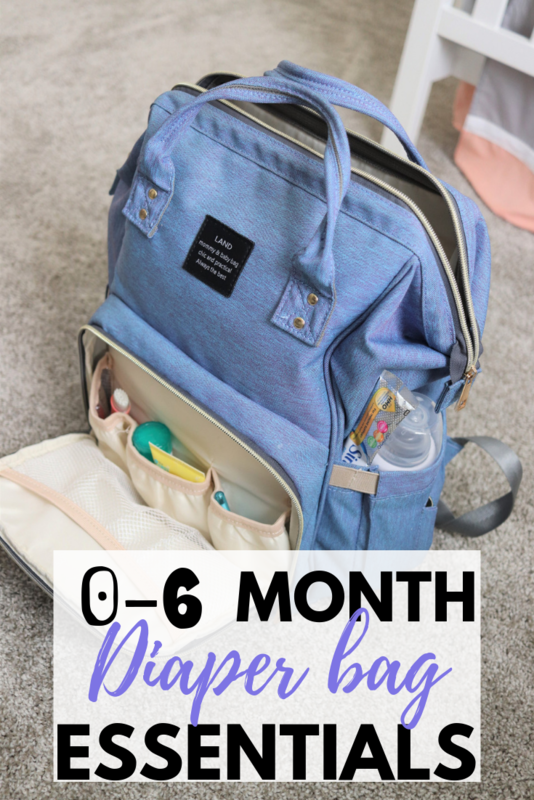 What are your diaper bag essentials for 0-6 months?